Credits : The orignal blog was published at Digital Nomad Soul. It’s hard to find reliable numbers that show how many female digital nomads are really out there. But looking around coworking spaces, Facebook groups or popular digital nomad blogs, you might get the impression that the majority of digital nomads is male. However, there are also plenty of female nomads around! Just look at certain Instagram accounts or Facebook groups. There are also quite a few women who write about their nomad stories to encourage fellow girls and support them with plenty of tips, advice, and information. Have a look at some of the best female digital nomad blogs out there – learn, grow and get inspired! The following list is a combination of blogs with a stronger focus on the traveling part and blogs which focus more on the remote working part. Some of the blogs are entirely dedicated to the digital nomad lifestyle. That gives you the chance to pick the areas that are most important to you and read in more detail. Either way, all of them are run by female location-independent professionals who managed to create a lifestyle that many others dream about, too. One of the most popular female digital nomad blogs out there is surely Digital Nomad Girls. Created in 2015 and run by German girl Jenny, this blog is more of a community. You can connect with other nomads through the private Facebook group, participate in Q&A sessions, read interviews with other successful digital nomads or join mastermind retreats. A great place for ladies who want to become location-independent or for those who are already living a remote life and want to connect with like-minded people. Women Digital Nomads is another popular blog for everyone interested in the location independent lifestyle. Here you will find plenty of guides of the best cities to live and work remotely. These are particularly suited for female travelers as they discuss things like safety or accommodation for girls in more detail. Apart from location guides you also get to read much other helpful information about this lifestyle and will most definitely get inspired to start this journey on your own. Explorista is a third fantastic female digital nomad blog. Founder Milou is a twenty-something entrepreneur who runs not only this website but also one of the largest digital nomad communities for women out there: The Facebook group Female Digital Nomads. 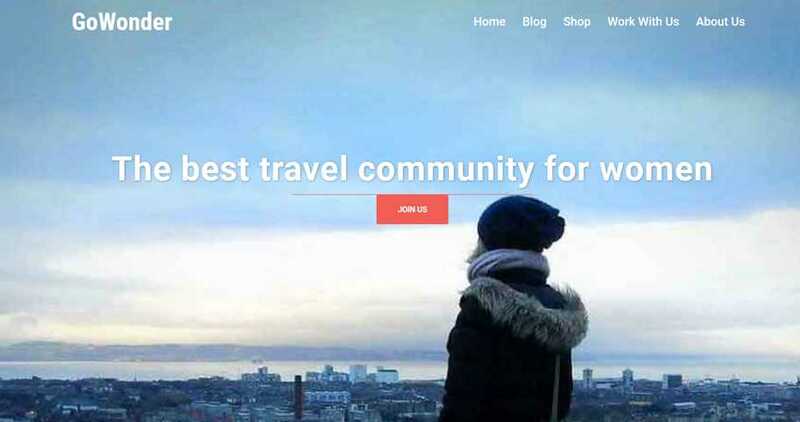 While the blog is jam-packed with information about travel destinations, business, food, and budget tips, the Facebook group is a great place to connect with like-minded nomads and exchange experiences. A must-check out for all location-independent ladies. On her blog Hashtag Tourist, Chelse writes about her passion for the digital nomad lifestyle. She, too, quit her 9-5 job and is now working fully remotely while traveling the world. Hashtag Tourist reflects her passion for solo female traveling and the location-independent lifestyle. If you want to learn how you can travel on a tight budget, how you can start a digital nomad life yourself, find cool travel tools, and get some nice travel deals, this blog is definitely worth checking out. Ok ok, this one is not exactly a female digital nomad blog, but a VLOG – a YouTube channel to be precise. I just couldn’t resist to include her on this list because she provides so much valuable information. Digital Nomad Girl Louise travels the world together with her fiancé, both running several different online businesses. 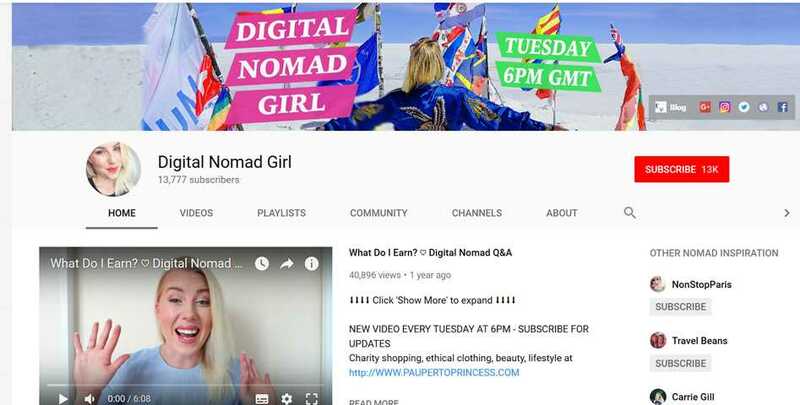 In her videos, she talks about travel destinations, how to become a digital nomad, and gives plenty of tips and advice on how you can make money online and live a nomadic life. GoWonder is another fantastic community by women for women. The blog provides plenty of information, tips, and recommendations. It’s a safe and judgment-free place for women to share the experiences they made on the road. Read interesting city guides, get advice on gear and tools and read inspiring stories on how you can work online, too, and travel at the same time. Marta has left her 9 to 5 office job in 2010 and started her new freedom lifestyle as a freelancing SEO consultant soon after. Although she prefers having a home base and has been living in London for a few years now, she travels whenever she can, often solo. Her blog A Girl Who Travels gives advice on specific locations and talks about general travel related topics, such as budget or solo female traveling. You will also find interesting articles about working while globetrotting as a digital nomad. Alajode was originally a travel blog with a strong fashion focus. But when the owner, Jodie, left her corporate job in London in October 2017 to blog full-time, she moved that focus more on the digital nomad direction. So now you get to read loads of helpful information about the nomadic life and remote work, guides, and gear – perfect for occasional travelers and full-time wanderers alike. Make sure to check out her YouTube channel, too. 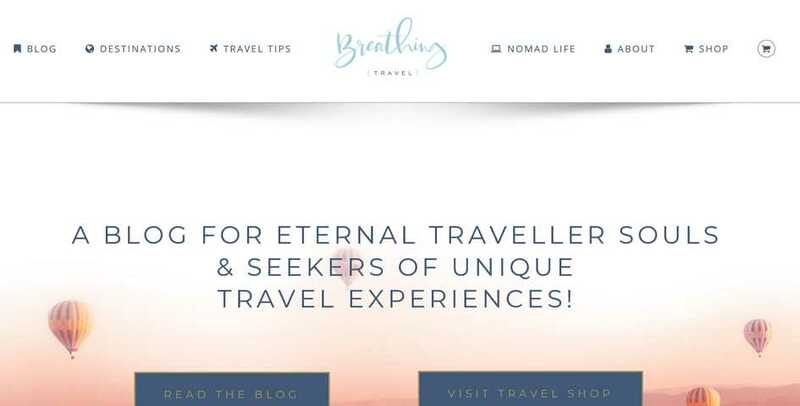 Another very popular female digital nomad blog is Breathing Travel. Her location-independent job as a digital marketing specialist allows Carolin to live and travel wherever she wants. On her blog, you will find much helpful information such as destination guides, all kinds of travel tips and plenty of information on the digital nomad lifestyle, such as productivity tips or great coworking spaces. Do you want to start your digital nomad lifestyle as a freelancer or are you one already but could need a career boost? Then Wanderful World is the right place for you! In 2014 Lizzie quit her job and started a freelance business. While she first struggled a bit with finding decent clients, she now became an absolute pro in scoring high-paying and fun jobs. On her blog, she teaches you how you can pitch yourself as an expert and change your freelance career for the better. Become a successful freelancer and enjoy your freedom lifestyle even more. This blog will help you. Beatrice did her first solo overseas trip at the young age of 16 and immediately fell in love with adventures and traveling. 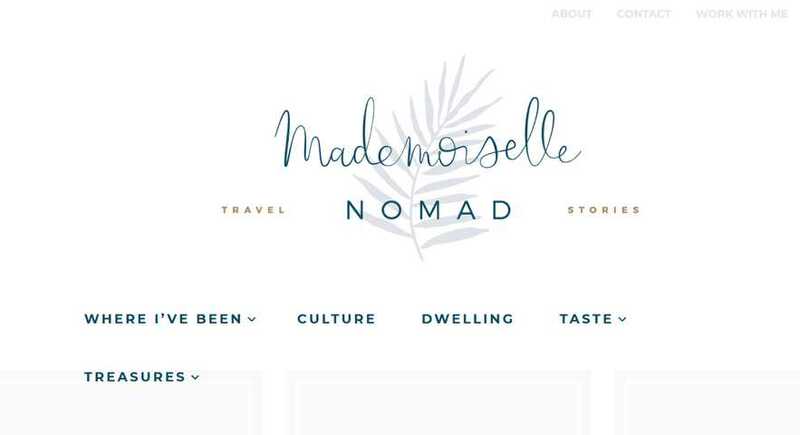 On her blog Mademoiselle Nomad, she talks about delicious food she finds while traveling around the globe, fancy hotels and cultural happenings. Learn about the life of the Mauritius born island girl who now enjoys roaming around the world, living as a digital nomad. Talking about success: Natalie left the corporate world behind and managed to turn her blog The Suitcase Entrepreneur into a multiple six-figure business. Needless to say, it is one of the most successful blogs for location-independent professionals out there. Her articles revolve around entrepreneurship, general travel tips and creating a freedom lifestyle. She also offers online programs, workshops, and retreats for those who are serious about creating a mobile business. Looking for more travel inspiration? 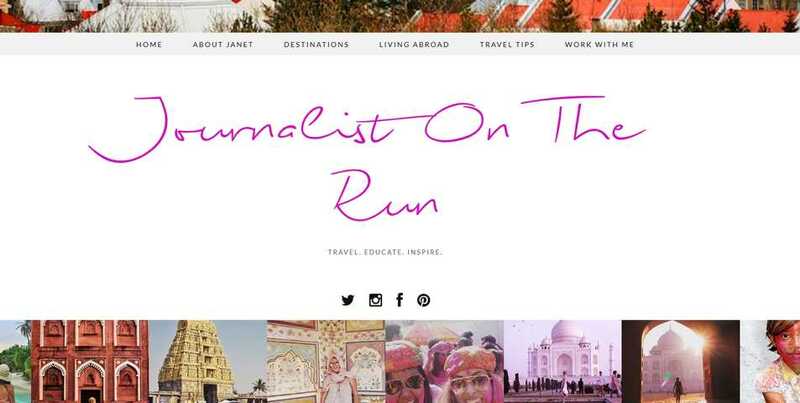 Check out Journalist On the Run for some great travel tips and destination guides. Janet quit her full-time job as a journalist and now enjoys a location-independent, adventurous life that makes her happier and healthier than her former lifestyle. Her blog is not only documenting her journey but also her career growth and failures. Follow her on her digital nomad trips and learn what it’s like to live abroad. Wee Gypsy Girl is run by Nicole, a Scottish girl who discovered her love for traveling and blogging while teaching English in South Korea. Instead of returning to her old 9 to 5 job back in Edinburgh, she continued her journey around the world. Her blog teaches you how you can be location-independent, go on amazing adventures and roam the world without a big budget. Check out her destination guides, travel tips, and thoughts on the digital nomad lifestyle. I know, I know – shameless self-promotion. But well, I wouldn’t put my blog on this list if I wasn’t 100% convinced that it has a ton of useful information for aspiring female digital nomads. Digital Nomad Soul focusses on the location-independent life and talks about everything that is related to remote work and long-term traveling. Get tips and tricks how you can increase your productivity when working from home, how to find the best accommodation, coworking space recommendations, how to find clients, helpful remote work apps and so much more. I also share my own experience as a full-time digital nomad and aim to provide a helpful resource for everyone who wants to become a nomad and work online, too. Ready to Start Your New Lifestyle, Ladies? As you can see, there are quite a few awesome female digital nomad blogs out there, run by wonderful female remote professionals. These should give you enough information and motivation to start your own digital nomad lifestyle. As with most things, preparation is the key. Read as much as you can, learn and get inspired by these fantastic nomad blogs. In case you are still a bit unsure, read how you can overcome your fears of taking the leapinto the nomadic life. Credits : The origonal blog was published at Digital Nomad Soul.